Trade show season is upon us! If you will be presenting at a trade show this season, you need to read this! Of course, everyone on the trade show floor will have a booth contest, caricaturist, prize wheel or some other sort of entertainment. But, don’t forget about the basics. Do you have what it takes for a great trade show display? 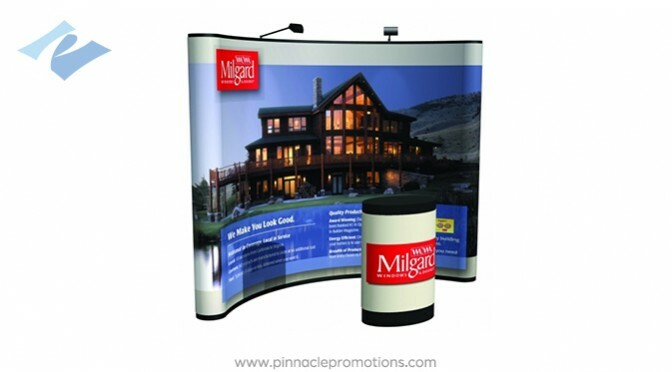 Here are our picks to guarantee you have a killer trade show display! In a show with hundreds of vendors, grab the passers-by with an eye-popping display. But make sure it is something you can take down, put up, and travel with easily! Don’t go bare! A classy table drape and side banners add a simple elegance and buttoned-up look to any booth space. Attendees will remember you long after the show is over if you have unique, economical giveaways. Essentials include a reusable branded tote for carting away the show goodies, and a functional giveaway such as a promotional stylus pen or mini-journal. Stay top-of-mind on the trade show floor, and long after your attendees have returned home. A powerfully branded display, with tables drapes and banners will reel in your audience. The perfect promotional giveaway item will help you make the right impression long after the show attendees leave your space. Comment, and tell you your thoughts on trade show display must-haves!